Two tiny kittens discarded in a box by the side of the road now have a chance at full, love-filled lives. Thanks to some idiot human, they almost didn't. A driver was sitting at a red light in Erie, Pennsylvania, when she heard tiny cries. She pulled over and found a shoebox. Inside were two tiny, starving gray kittens with Siamese markings. 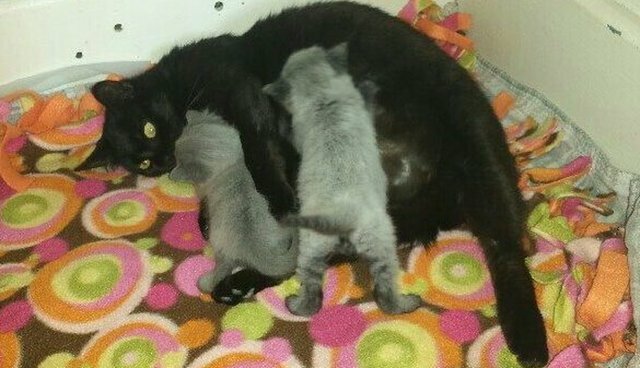 The good Samaritan contacted the cat lovers at Orphan Angels Cat Sanctuary and Adoption Center, who hurried to find a mama cat who could nurse the little kittens. 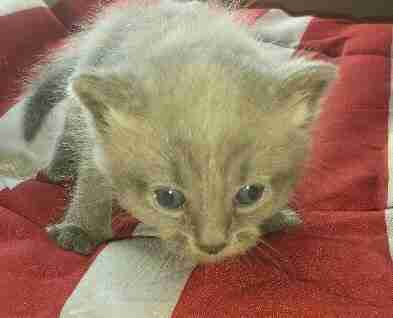 Luckily, a cat named Judy Garland recently gave birth and was still nursing her week-old kitten, Dorothy. 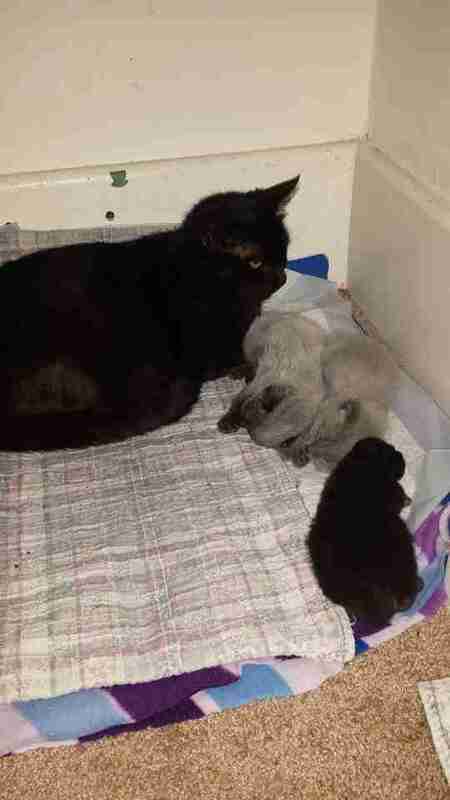 This little cat family is fostered by local cat lover Carrie Carpenter. Judy Garland and Dorothy welcomed the kittens into their small family. In keeping with the Wizard of Oz theme, the baby cats were named Glinda and Toto. "They are fluff balls and gorgeous," Carpenter told The Dodo, adding that the little cats are only about 2 weeks old. 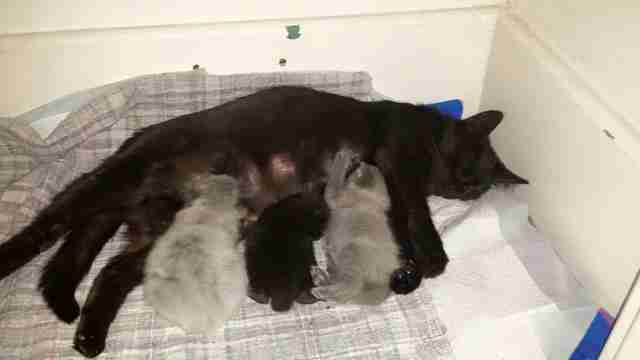 "Now they will have a chance at a wonderful life," Orphan Angels Cat Sanctuary and Adoption Center said on Facebook. All of these gorgeous and loving cats are looking for forever homes. Learn how you can help.